Mas Subramanian, Milton Harris Chair Professor of Chemistry, has become a new Fellow of the American Association for the Advancement of Science (AAAS). He is among 416 scientists and engineers chosen for this prestigious honor by AAAS in 2018. He joins two other researchers from the College of Science who were named AAAS fellows in 2018: David Maddison, a professor of integrative biology, and Michael Freitag, professor of biochemistry and biophysics. This brings the total of AAAS fellows in the College of Science to 16. “I am much honored to be elected as Fellow of AAAS. As a scientist and an educator, I have had the privilege of engaging in original and creative scientific research to develop new knowledge and understanding of how materials chemistry plays a pivotal role in societal needs,” Subramanian said. “In that endeavor, I have enjoyed working with many amazing students and collaborators. I am very grateful for this recognition by my peers in the scientific community” he added. One of Subramanian’s most celebrated achievements was his 2009 discovery of YInMn blue, the first inorganic blue pigment in more than 200 years. YInMn blue, so named for its composition from yttrium, indium oxide and manganese, was a stunning breakthrough that revolutionized the pigment research industry. Not just aesthetically pleasing, the radiant blue pigment is non-toxic, heat resistant, unfading and capable of absorbing ultraviolet radiation. In 2017, it was announced amid much fanfare that YInMn blue would be the inspiration for Crayola’s new crayon color. Following a naming contest that saw 90,000 submissions by fans around the world, Crayola’s new blue crayon was named Bluetiful. News of YInMn has appeared all over the globe featured in leading dailies, magazines, radio shows and viral videos. These range from Time magazine, Cosmopolitan, Science Friday, NPR to National Geographic, New Yorker, Smithsonian, Bloomberg Businessweek and countless other legacy media platforms. In a rare feat, Subramanian’s lab discovery has transcended academic confines to make a successful debut in the market place. YInMn blue was approved for commercial sale by the Environmental Protection Agency paving the way for Shepherd Color Company to use the pigment, commercially known as Blue 10G513, in industrial coatings and plastics. Including YInMn blue, Subramanian holds 57 patents and is the author of more than 300 research publications, several of them in Nature and Science. His materials science research has resulted in significant contributions to the fields of high performance color pigments, thermoelectrics, high-temperature superconductivity, magnetic materials, efficient environmentally benign chemical synthesis processes and topological insulators. 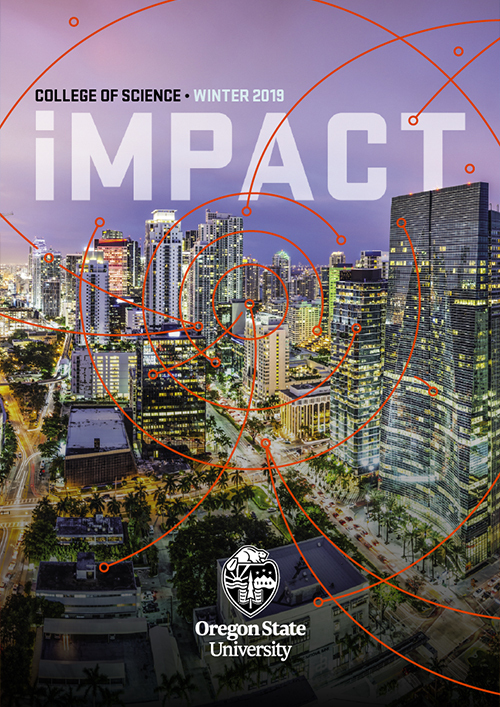 “I am thrilled that Mas has received this well-deserved recognition from AAAS. His historic discovery of YInMn blue has made him a leading materials scientist of our era,” said Roy Haggerty, Dean of the College of Science. As a researcher and a mentor, Subramanian has few equals and we are very proud to have him in the College of Science and at OSU,” he added. Subramanian was a scientist and research fellow at the leading science and engineering-based global conglomerate Du Pont in Wilmington, Delaware, for more than 20 years, until he joined Oregon State in 2006 as the Milton Harris Chair Professor of Materials Science, where his research focuses on designing new inorganic solid state functional materials for emerging applications in electronics, solid-state energy conversion and other areas. At Du Pont, Subramanian made several notable discoveries, chiefly among them developing an environmentally safe process for fluorobenzene synthesis, design of high performance thermoelectric materials, and identifying the structure of high-temperature superconductors. Subramanian’s pigment discovery and materials chemistry research has attracted a number of prestigious awards. He was recently selected for the 2019 Perkin Medal from the Society of Dyers and Colorists, London. 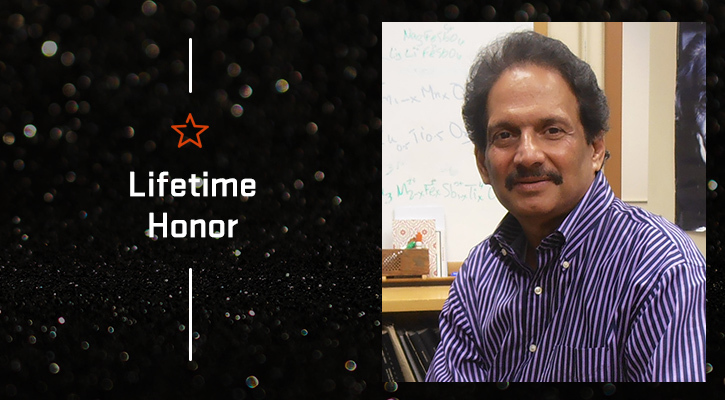 Other notable honors and awards bestowed on Subramanian include the Distinguished Alumnus Award from the Indian Institute of Technology (IIT), Madras (2018); Oregon Academy of Science Outstanding Oregon Scientist, 2016, F.A. Gilfillan Memorial Award for Distinguished Scholarship in Science (OSU), 2013, NSF Creativity Award, 2012, Chemical Research Society of India (CRSI) Medal, 2012, DuPont Charles Pedersen Medal Award for Excellence in Scientific and Technical Achievement, 2004. Subramanian received his bachelor’s and master’s degrees in chemistry from the University of Madras, India. He holds a Ph.D. from IIT Madras and was a postdoctoral fellow at Texas A&M University.